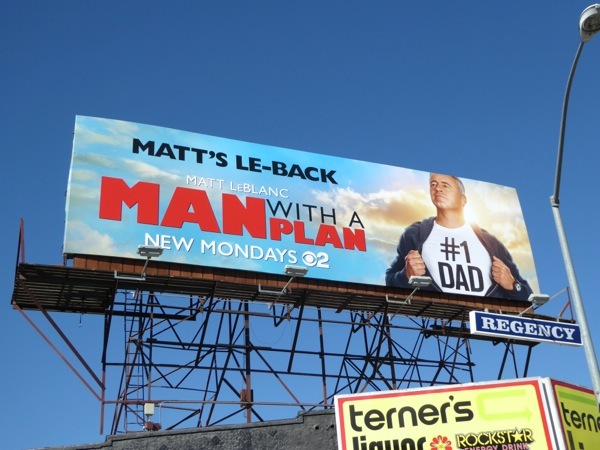 Matt LeBlanc is 'Le-Back' and returning to his sitcom roots with a new comedy on CBS this Fall, Man with a Plan. In addition to trying to draw viewers in with established franchises like MacGyver this TV season, this network is also hoping that familiar faces of comedy (like LeBlanc and Kevin James) will also stop the audience bleed to upstart streaming services and their innovative original content. 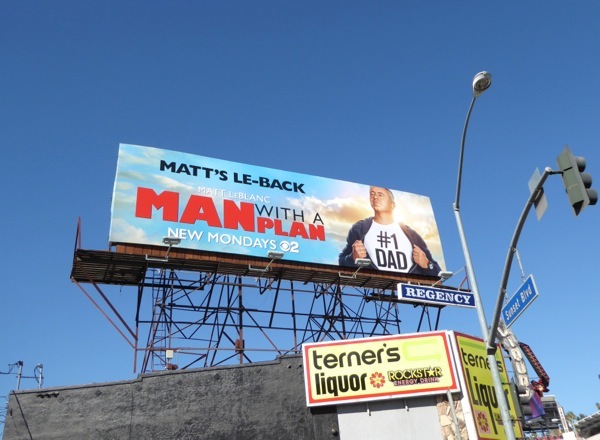 The sitcom finds the former Friends star as a dad left at home looking after his three kids when his wife goes back to work after being a stay-at-home mom for thirteen years. Discovering they're not the three angelic children he thought they were and the job's not as easy as it looks, he finds he needs a plan to keep them in line. 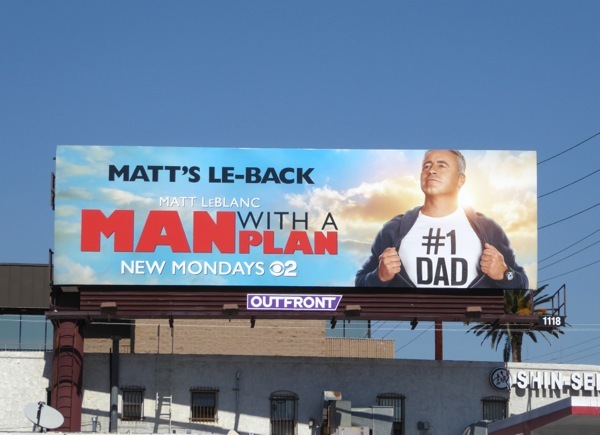 These series launch billboards for Man with a Plan, with Matt LeBlanc channeling Superman's infamous shirt-ripping pose, were snapped along the Sunset Strip, Pico Boulevard and Santa Monica Boulevard from September 26 to September 29, 2016. 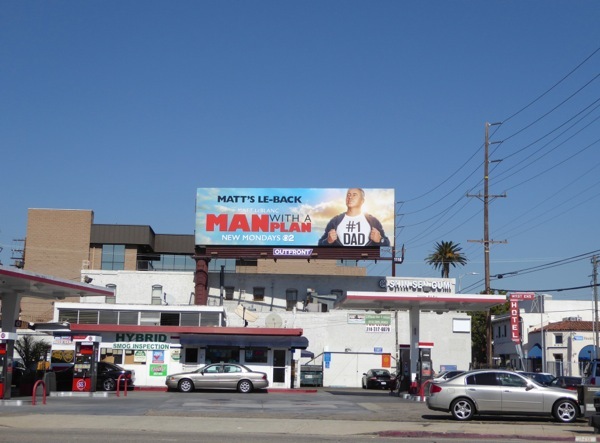 If you're a fan of the funny guy, be sure to also check out this BBC Top Gear billboard and these Episodes TV series billboards from recent years. 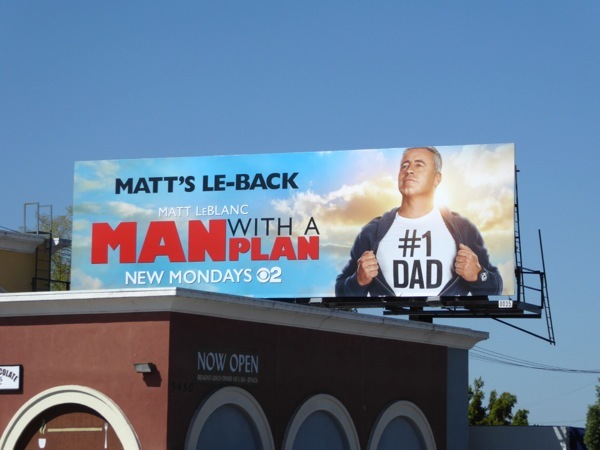 Let's see if this sitcom strategy will be a winning plan for CBS this Fall TV season.